Please click on any of the venue charts below to open a full view. 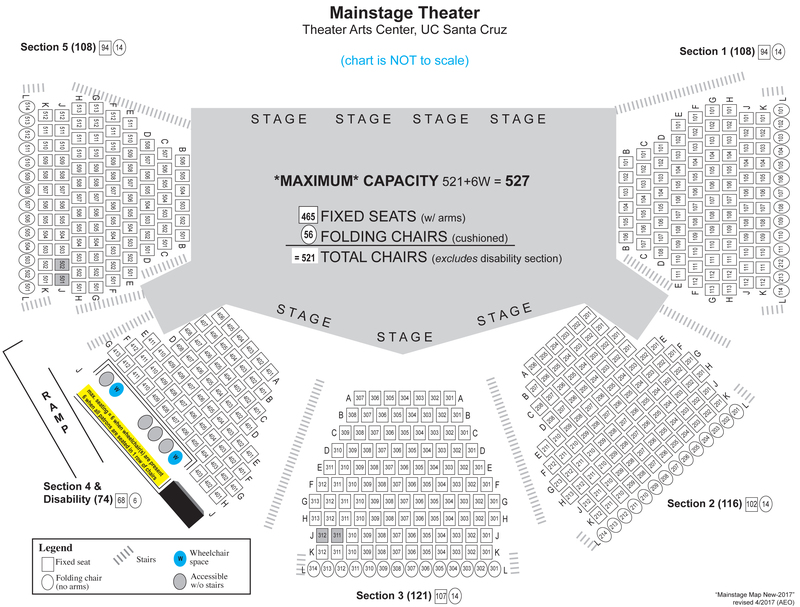 All venues are accessible; each offers different seating arrangements for patrons seated in wheelchairs. If you or someone in your party will be seated in a wheelchair, please review the seating chart. We highly recommend that you purchase tickets in advance when that is an option. For free and general seating events, we recommend that anyone requiring additional assistance or access to particular seating arrive early.